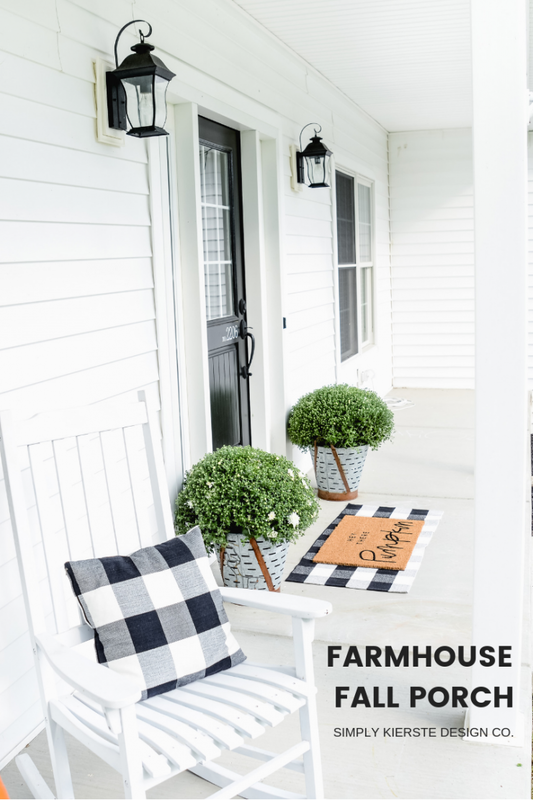 Farmhouse Fall Porch | Simply Kierste Design Co.
It’s fall, it’s fall, it’s fall! I’m just so delighted, I can hardly stand it. I absolutely adore this time of year, and every single thing that comes along with it. 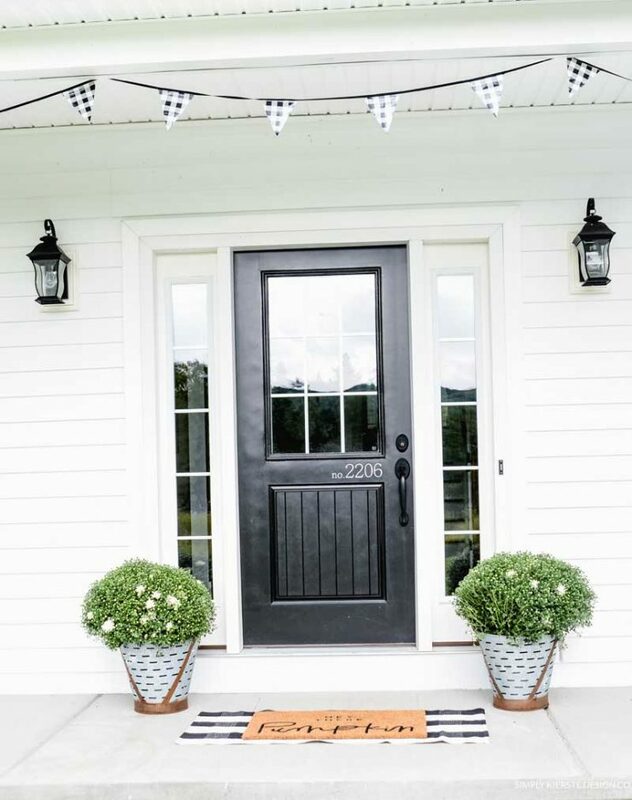 I look forward to decorating my porch for the fall, and this year I kept it very simple–black buffalo check, a pumpkin mat, vintage buckets, white mums, and crisp white rockers. 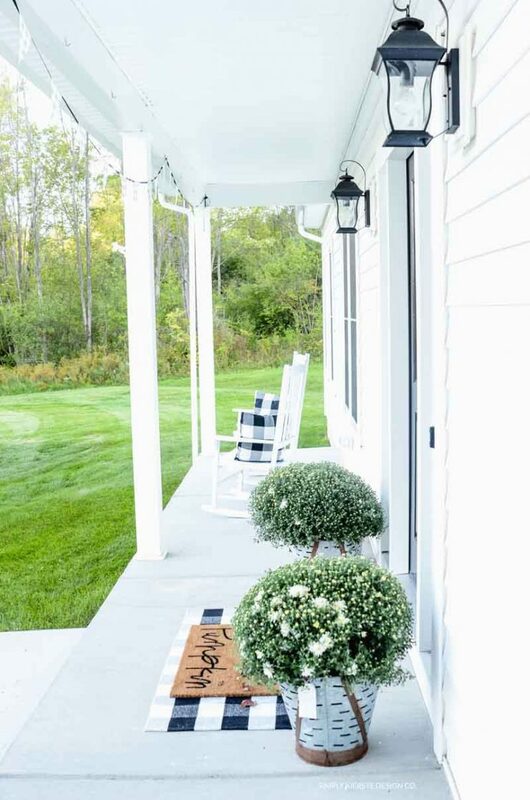 Welcome to my Farmhouse Fall Porch! This post contains affiliate links. If you make a purchase, I’ll receive a small commission at no extra cost to you. 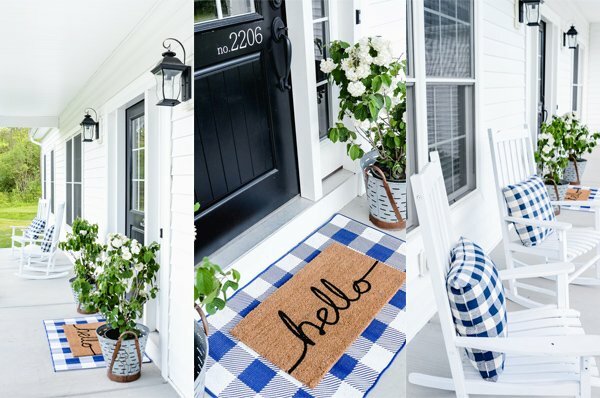 I love a really simple look on my porch, with a few favorite things to make it pop. 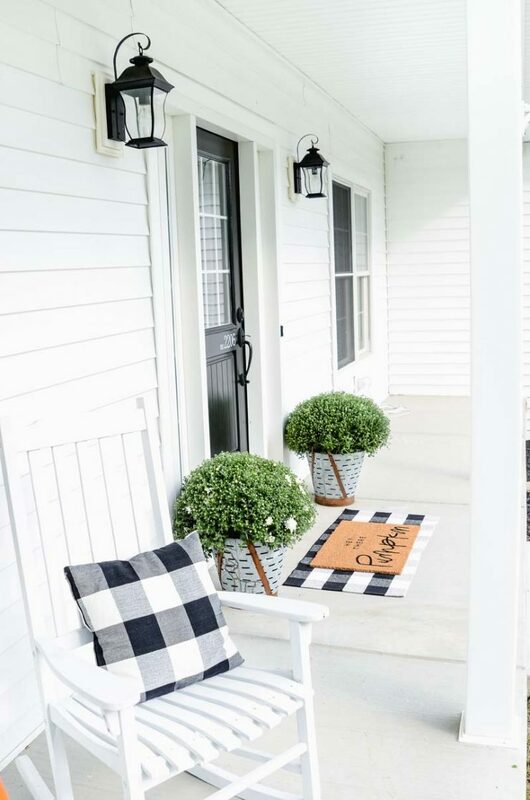 I keep the white rockers on the porch all year long, and it’s easy to switch our the pillows for each season. They were the best purchase, I love them! 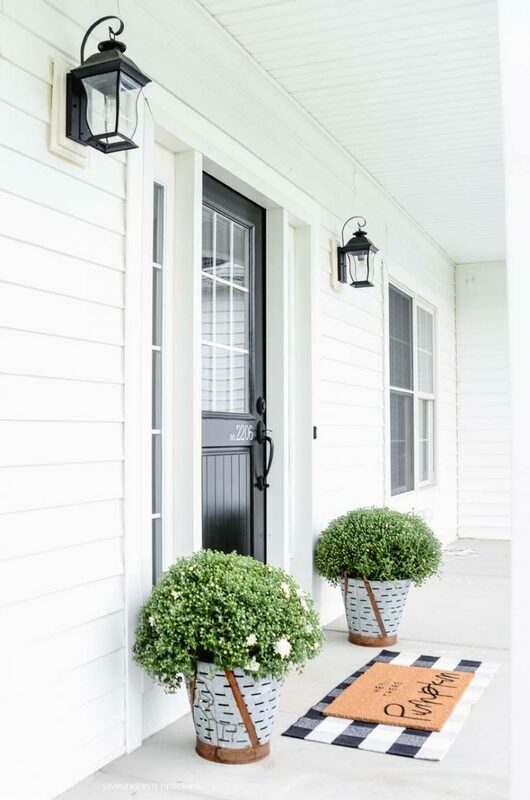 I also adore the vintage olive buckets, and I use them for planters all year long. For fall I went with white mums, even though I tried to go with a color, in the end I just couldn’t. I’m so drawn to white! 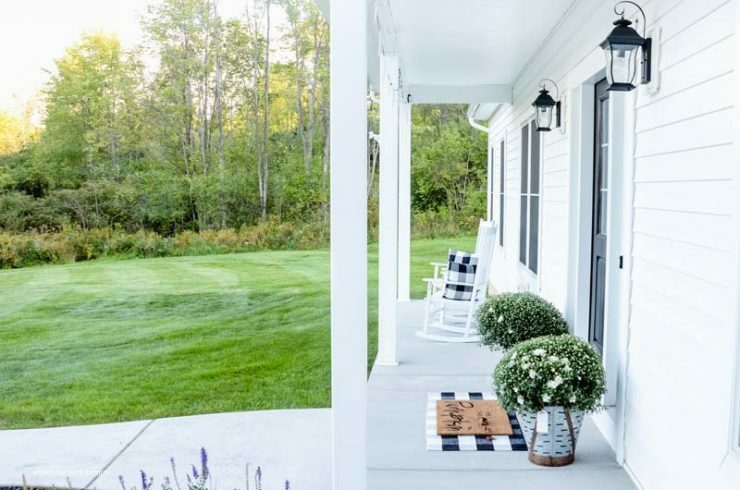 I adore black buffalo check, and I decided it would be the just the right pattern for a layered rug look for fall. I was so excited to find the perfect rug for a great price! 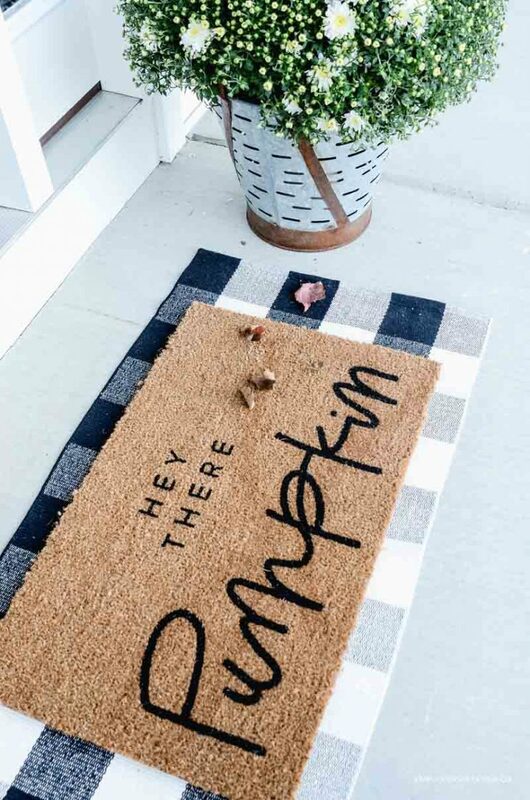 Then…I came across the “Hey, There Pumpkin” rug and it was fate. How cute can you get? LOVE!! Last year I made an outdoor bunting to along the top of my porch, and I couldn’t wait to get it out again this year! I may still add pumpkins to the porch, but we haven’t gone to the pumpkin patch yet. We’ll have to see what I find there! Very nice and simple. 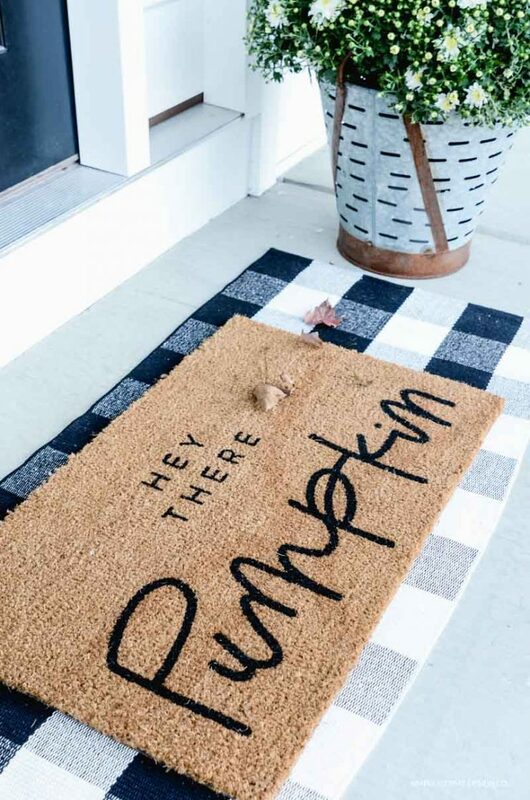 Love the pumpkin floor mat!